Another autumn has dawned on the Midwest, bringing along with it the glutton of autumn beers. I thought it was the perfect time to try another fresh bottle of Autumn Ale by Short’s Brewing Company. I originally had it earlier this year. 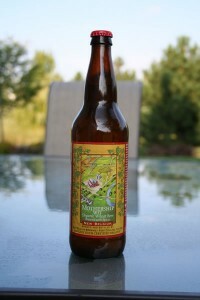 Since Autumn Ale is brewed in the fall, I wondered how fresh a January bottle would be. Being that Autumn Ale is a slightly above average beer in my opinion, it wasn’t something that I was going out of my way for but a situation presented itself, so why not. Hops are nice in the beer: floral hops dominate citrus hops. These come through in the aroma, especially early. Mid beer I couldn’t find them anywhere. Autumn Ale had transitioned to a malt forward beer: very sweet. The taste originally had the malts but those seemed to go south along with the aroma. Another year and the same result. I feel I rated this beer fairly earlier this year. I would have it again but, as I stated, I not going to go out of my way for it. Enjoy! American craft beer is artisan. Some breweries even have that in their name. More and more beers are pushing the envelope of style and blurring the confines within. Short’s Brewing Company doesn’t have it in the name but, for as long as I can remember, they have been putting out some wacky beer flavors. Style unknown is their destination that they frequently seem to shoot for, hitting the bulls eye on regularity. 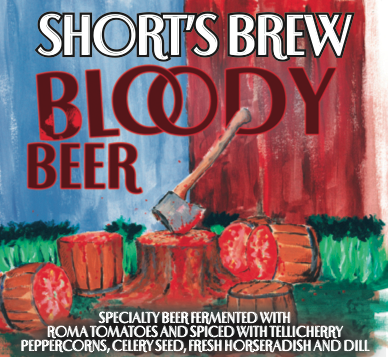 Bloody Beer is another one of the artisan beers from Short’s. When I first noticed the beer and label, I didn’t know what to expect. Is it a Halloween gimmick beer? Is it a beer with cherry juice or similar added? Reading the label leads to more: “…fermented with roma tomatoes and spiced with tellicherry peppercorns, celery seed, fresh horseradish and dill.” Bloody Mary went through my head. After tasting the beer, I would have to say it is pretty damn close. I split the twelve ounce bottle with Rich and would have to say six ounces was more than enough. I would have it every so often in small quantities. Enjoy! Useless Fact: In 1221, Genghis Khan killed 1,748,000 people at Nishapur in one hour. Short’s Brewing Company has become a bit of an American craft beer novelty for me. I haven’t really been on board for all of their innovations but some really intrigue me as the combinations are quite off the beaten path. Key Lime Pie happens to be one of the strangest combinations I have tasted but, contrary to what I expected, it was pretty solid. Plum Rye Bock is another unique combination of choices in which to make a beer: lager, out of the orgdinary fruit in plum, and rye. Not your everyday, run of the mill beer. Of course I was curious as to how this could be brought together and if it could be pulled off well. Plums, straight plums, is one of my least favorite fruits and I like fruit. The aroma and flavor is more full of tart cherries than plums along with some light spice. I did leave the beer for a while after consuming about half. It probably warmed up into the mid 60s, the cherries did turn to plums, and I could no longer stomach the beer. So make sure to consume this one at the advertised price unless you like plums. Enjoy! Useless Fact: The reason firehouses have circular stairways is from the days when engines were pulled by horses. The horses were stabled on the ground floor and figured out how to walk up straight staircases. 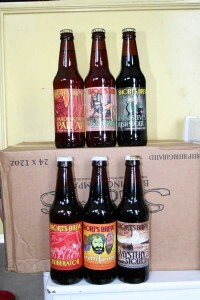 Beer number 51 comes from Short’s Brewing Company. Autumn Ale is an ESB that is released each fall. It was about an average beer with its most redeeming quality being the taste: the hops, floral mainly, come through quite nicely but don’t overwhelm or add much bitterness, just a nice shot of balance. I would have it again but would look for something else first. Just a thought or two on Short’s: I have now had some 18 different flavors of their beer with my opinion, mostly, always the same: average and usually interesting, but not outstanding. Novelty is the best way I can describe Short’s. Yes, they have Bellaire Brown, a year round beer that is quite outstanding, but most of their beers are one offs, that have some very unique spin on a style or, more likely, don’t adhere to any style but try to create something completely anomalous. I am not knocking them for their inventiveness, I applaud it, but those strange flavors, mouth feels, and aromas don’t always work for me. I still try them, I still seek them out, because I want to be part of each interesting permutation. After all, American craft beer is all about the artistic and stimulating creativity that a brewer can impart in his craft. Enjoy! Useless Fact: Stressed is Desserts spelled backwards. The Magician by Short’s Brewing Company was the only new beer tasted last night (Pliny the Elder was tasted again). The Magician is an American Amber Ale that instead of being some hop whore it is a nice complex malty expression of goodness. The beer pours with a huge, half glass, reddish-orange foam that has great retention as it becomes frothy while leaving almost no trace of its existence. The aroma follows and impresses: fruity, almost sweet fruit, with malt as the backbone. Grainy, toffee, roasted, and even coffee/chocolate notes develop. The deep dark hue of the beer as well as the aroma gives off the sense that the beer will have a big taste and body, but that is misleading. The beer is almost thin but most most of the aroma comes through in the taste, just in smaller doses. Nicely complex beer with just a little too much unbalanced sweetness for me. The look and aroma are the highlight of this beer. Unfortunately it isn’t carried through to the mouth to making it an easy drinking beer. Still really good, just not great. Enjoy! How many Bottles were affected and of what brands? An Exchange Certificate for another six pack which can only be done at the brewery. In my book that is huge. Hats off to Short’s for being big enough to man up to the problem and reiterating their pledge to top quality American carft beers while keeping their customers in mind. Enjoy! The six Shorts Brewing Company beers that we reviewed. Shorts Brewing Company is a favorite of mine and Rich and everywhere you turn we hear good things about their beer. On my recent trip to Grand Rapids, Michigan I scored six different flavors of their, tripling the amount that we had had to this point. With great pride I invited Rich over last night to taste and review. 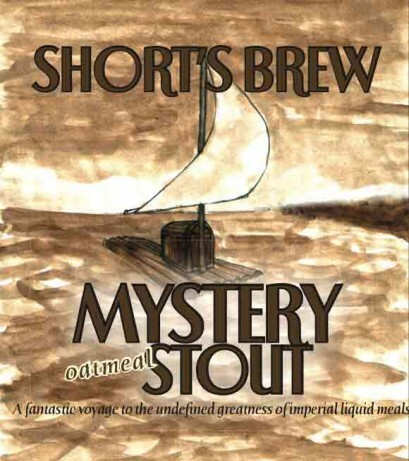 The one gripe I have is the lack of information on Short’s website is void of any information about their beers outside of a little marketing blurb. At least three of the beers that we reviewed I couldn’t even find listed on their site. air jordan spizike I guess I would have to say all American micro-breweries that practice this lack of information bug me. Isn’t that part of the experience? In Short’s defense, I did email them last night to let them know about my experience with their beers. They replied very quickly, apologizing, and trying to help with the diagnosis of why the beer might have been bad. That is some damn good customer service and why I can’t get enough of American craft beer. Enjoy! No matter how good these beer were or were not, having a chance to review beers is something that I missed. Enjoy!